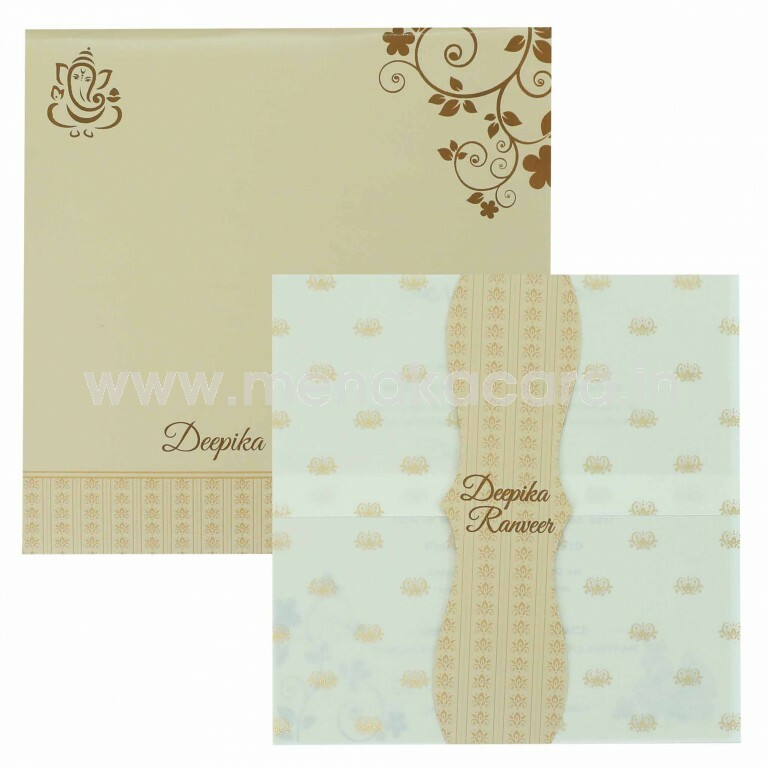 This gorgeous folding leaf set card is made from a white non-oven sheet printed with delicate gold ink crown/flower motif. A cream die cut band holds the card together and contains the two cream inserts made from a digital print artboard in cream and brown. 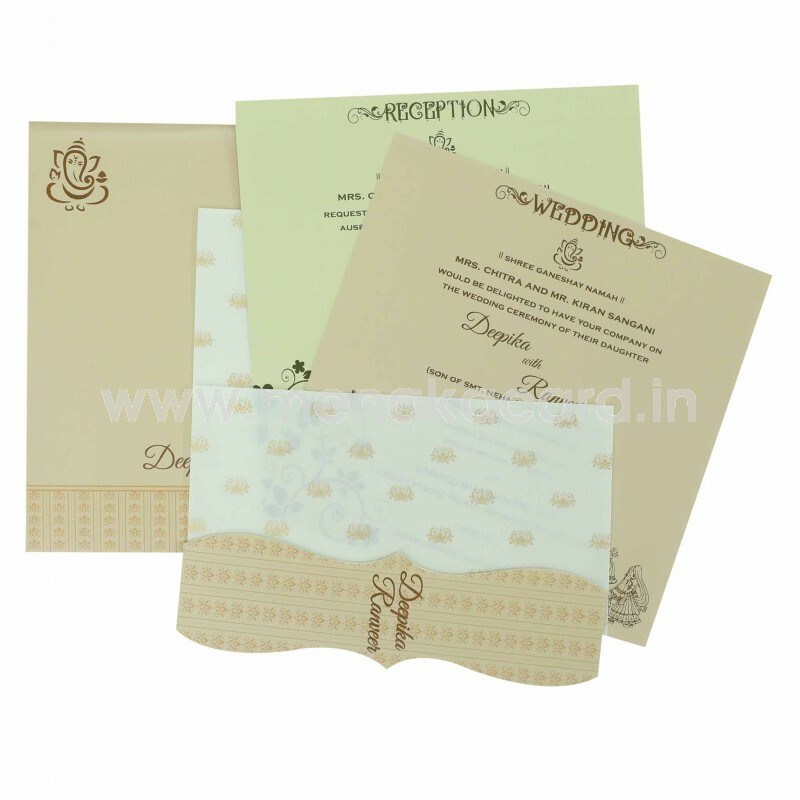 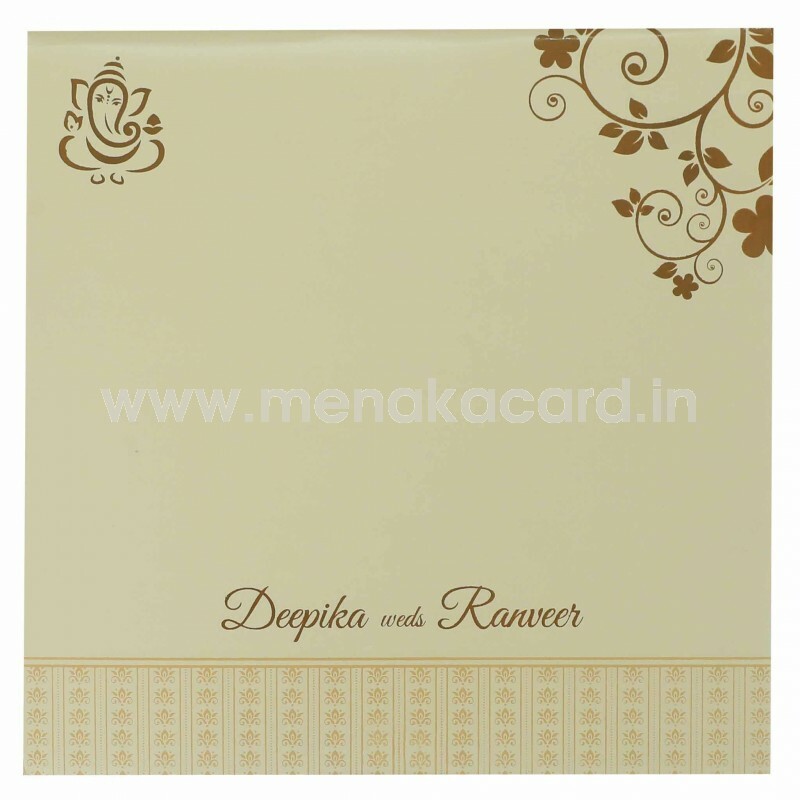 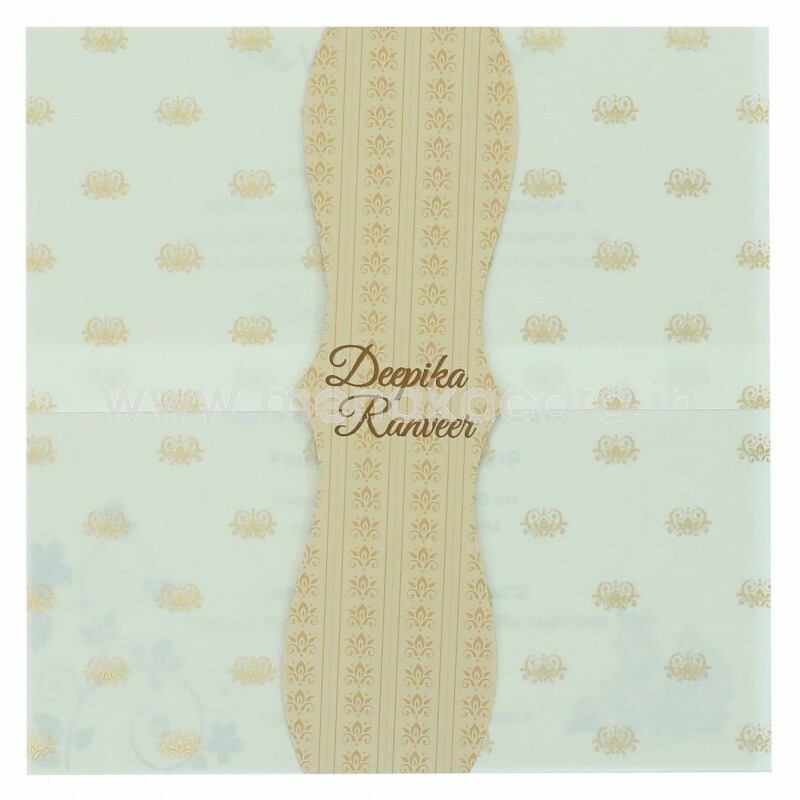 The envelope of the card is made from the same material as the inserts and carries along the floral motifs in a strip at the bottom in dark cream. 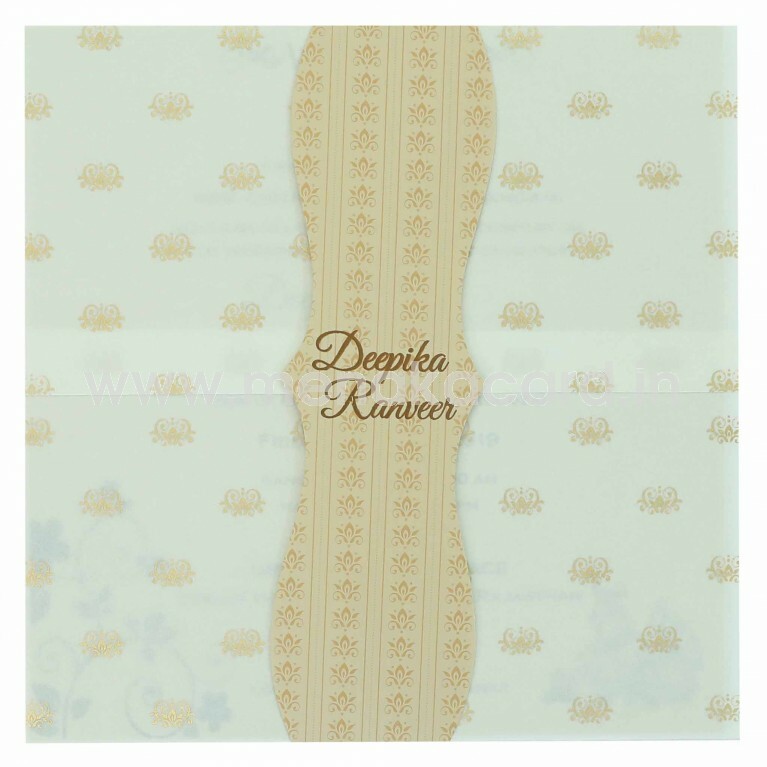 This can be used for all weddings, receptions, engagements, grapahraveshams, upanayanams, communions etc.